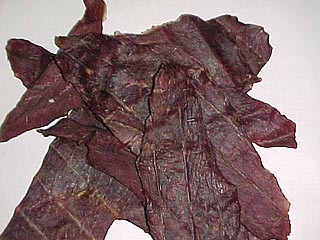 In the US, and also in other areas of the world, dried meat products like Beef Jerky or Biltong (from Africa) are very common and can be bought in every supermarket. You may be surprised to hear that Jerky is almost completely unknown here in Germany. So, you might wonder why on earth you’re finding a jerky marking guide on a German-based webpage. Well, the truth is that I really love Beef Jerky, and since it’s so expensive, I decided to make my own one day. Now, I’m on a mission to show my fellow countrymen how to make good Beef Jerky. 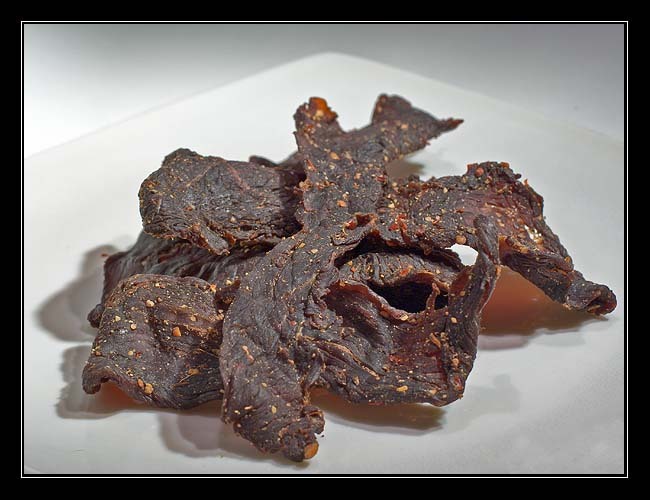 There are a lot of different Beef Jerky recipes around on the net, and i´d like to add another. After tree years of experimenting with different marinades for my Jerky, I think I found a "magic mixture" that everybody will love - at least everybody who’s tried my Jerky has been very pleased. Cut the meat in thin strips and marinade them in ziplock bags (min. 4 hourse, 8-10 hours recommended) in the fridge. Please keep in mind that working with raw meat requires the highest attention to sanitary conditions! Please read the FSIS Food Safety of Jerky guidelines and make sure you’re keeping the meat as cold as possible. Reproduction of this recipe is at your own risk, I am not responsible for any health damages as a result of unsanitary conditions or incorrect preparation of Beef Jerky! Before you ask, no, I’m not selling my Jerky. I’m not a professional and this is a hobby and private project! 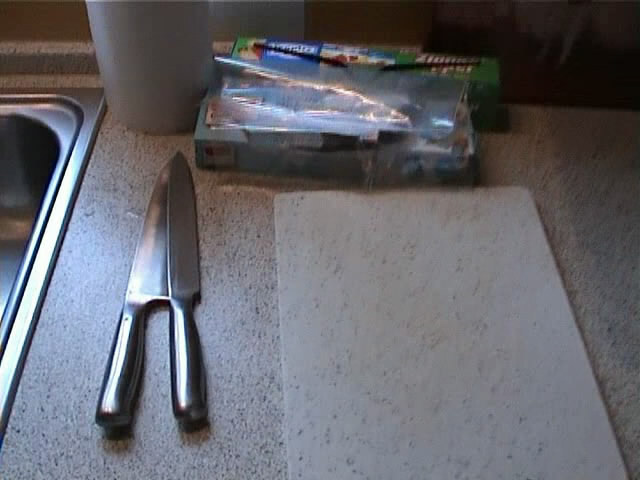 Let´s start with "Making the Marinade"!